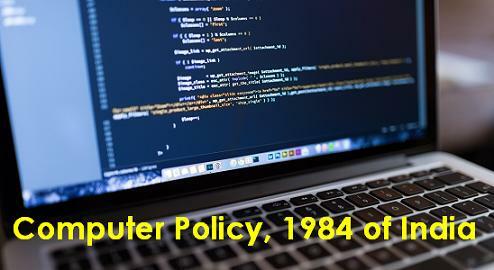 New Computer Policy 1984 of India: New Computer Policy, introduced in 1984 by Prime Minister Rajiv Gandhi, has changed the face of IT industry as well as the economic growth of India. 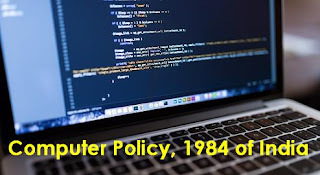 The first Computer Policy of 1984 and Software Policy of 1986 emphasized the concept of software development and export through data communication links.The policy has brought up many changes and reforms in the field of IT. According to the policy, markets costs would we slashed for IT companies and were given many types of subsidies. One of the most important benefits avail for IT firms was financial backup from banks and some venture capitalists. Centre for Development of Telematics (C-DOT) was established in 1984 with a mission to develop switching system/exchanges in India to work in harsh tropical environment of the country.